Interesting story. Nice car, but too bad Porsche had to put those massive bumpers on them. I know why, but it still really detracts from the look. Well, isn't it like the look of nice women? Some men focus on the massive bumpers in front, others on the chassis, others on the shape of the rear end. All personal taste. Great story and nice car: bumpers, chassis and rear end. The B&C series IMO were never the prettiest cars for P. The 356 up to the A was more to my liking. It just was more sculpted and more curvy and the overriders made the car look much more 50's elegant IMO... The euro style smaller bumpers would be a nice addition on that car. There are still a few of those twin-grill roadsters around. Every one I've seen is a Super 90, but there may be some 1600 normals, too. One was recently sold out of Kittery, Maine - #42 in the series, IIRC. Black with Oxblood interior and it was gorgeous. Another of the Belgian roadsters is here in Ann Arbor. Would love to build one of these. Super rare. If he bought that last year he must have paid some crazy money for it. One just sold at Amelia for around 450k. That car at Amelia Island was the car from Kittery, Maine. 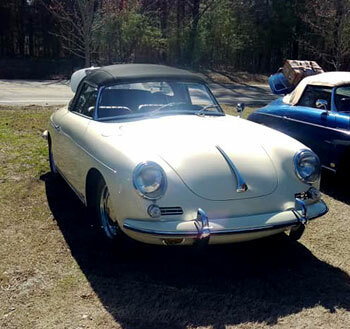 The guy who owns my former 54 Speedster owns 3 of them. I think he paid $650k for the last one that Willhoit did. ... or maybe a Singer 911. John is a friend of mine and is quite intelligent. 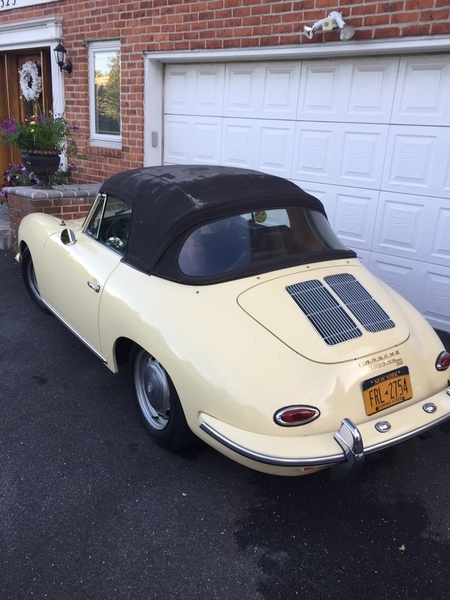 He has a 1973 911s that he bought new and another 356 cabriolet he has had for decades. All in pristine condition. And all driven. All I can say is he got a fantastic price (much less than the numbers being bounced around here) on this Roadster, and he took best of show at the Atlanta Concourse with both of his cars in their respective categories.. So ... I guess quality, value, investment, beauty, ... are in the eye of the beholder. Personally I thought it was pretty dang decent of him to bring it to our small rural Cruise In and show it off. I certainly enjoyed and appreciated having a close look and a spirited drive in it. ^ Thanks for sharing that video link, Carlos! Good on you for organizing those car gatherings. Speaking of dual grills, this little beauty belongs to a good friend who lives in Dana Point. Note the Willhoit 2.2 dual plug set up. Gotta dig the twin grills! Though the one thing that annoys me about the envemo is the sort of untraditional shape of the engine lid. I believe that the larger lid is correct for the T6 body (late production Bs and all Cs). The easier access is certainly an improvement.